Ground Floor - End Unit! Cathedral ceiling, split bedrooms - two master suites; storage room, private one car garage! Backs to park-like green area. Steps from pool/clubhouse. Remodeled kitchen, granite countertops, add'l bank of lower cabinets added with solid surface complementary counter; crown moulding, deep sink in garage, AC New 12-18; Porcelain Tile in Living/Din/Hall/Guest Bdrm. 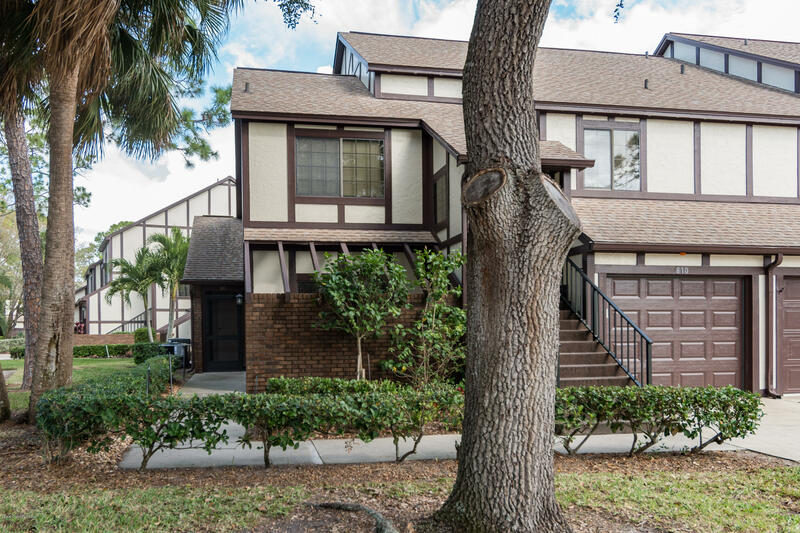 Carpet in MBR 3 yrs old, Handicap features in both baths, Enclosed Patio/Florida Room.One of the most prestigious complexes in Brevard period! Pool, club house, gym, library, pool tables, and gated entrance. Live like your on vacation! Condo fee includes exterior maintenance, pest control, exterior insurance, cable TV and internet. Close to shopping, I-95, Orlando-Melbourne Int'l Airport and Beaches!